When we closely examine the ordinary habits that underlie whatever we do and try to discover where they come from, we find that their very source is our failure to investigate them properly. We operate under the deluded assumption that everything has some sort of true, substantial reality. But when we look more carefully, we find that the phenomenal world is like a rainbow—vivid and colourful, but without any tangible existence. When a rainbow appears in the sky we see many beautiful colours—yet a rainbow is not something we can clothe ourselves with, or wear as an ornament. There is nothing we can take hold of; it is simply something that appears to us through the conjunction of various conditions. Thoughts arise in the mind in just the same way. They have no tangible reality or intrinsic existence at all. There is, therefore, no logical reason why thoughts should have so much power over us, nor any reason why we should be enslaved by them. The mind is what creates both samsara and nirvana. Yet there is nothing much to it—it is just thoughts. Once we recognize that thoughts are empty, the mind will no longer have the power to deceive us. But as long as we take our deluded thoughts as real, they will continue to torment us mercilessly, as they have been doing throughout countless past lives. To gain control over the mind, we need to be aware of what to do and what to avoid, and we also need to be alert and vigilant, constantly examining all our thoughts, words and actions. Once you have realized absolute truth, then you will see the whole, infinite display of relative phenomena that appears within it as no more than an illusion or a dream. To realize that appearance and voidness are one is what is called simplicity, or freedom from conceptual limitations. To feel overflowing love and almost unbearable compassion for all living creatures is the best way to fulfill the wishes of all the Buddhas and Bodhisattvas. Even if for the moment you cannot actually help anyone in an external way, meditate on love and compassion constantly over the months and years until compassion is knit inseparably into the very fabric of your mind. As you try to practice and progress on the path, it is essential to remember that your efforts are for the sake of others. Be humble and remember that all your exertions are child’s play compared to the vast and infinite activity of the Bodhisattvas. Like parents providing for the children they love so much, never think that you have done too much for others—or even enough. Even if you finally manage to establish all living creatures in perfect Buddhahood, simply think that all your wishes have been fulfilled. There must never be so much as a trace of hope for any benefit for oneself in return. The essence of the Bodhisattva practice is to go beyond self-clinging and dedicate yourself to serving others. The Bodhisattva’s activity hinges on the mind, not on how your actions might appear externally. True generosity is the absence of clinging, ultimate discipline is the absence of desire, and authentic patience is the absence of hatred. Bodhisattvas are able to give away their kingdom, their body, their dearest possessions because they have completely overcome any inner impoverishment and are unconditionally ready to fulfill the needs of others. The teachings we need most are those that will actually strengthen and inspire our practice. It is all very well to receive teachings as high as the sky, but the sky is not that easy to grasp. Start with practices which you can truly assimilate—developing determination to be free of ordinary concerns, nurturing love and compassion—and as you gain stability in your practice you will eventually be able to master all the higher teachings. The only way to achieve liberation from samsara and attain the omniscience of enlightenment is to rely on an authentic spiritual teacher. An authentic spiritual teacher is like the sail that enables a boat to cross the ocean swiftly. The sun and moon are reflected in clear, still water instantly. Similarly, the blessings of the Three Jewels are always present for those who have complete confidence in them. The sun’s rays fall everywhere uniformly, but only where they are focused through a magnifying glass can they set dry grass on fire. When the all-pervading rays of the Buddhas’ compassion are focused through the magnifying glass of your faith and devotion, the flame of blessings blazes up in your being. When someone harms you, see him as a kind teacher who is showing you the path to liberation and merits your respect. Pray that you may be able to help him as much as you can, and whatever happens, never hope for an opportunity for vengeance. It is particularly admirable to bear patiently the harm and scorn of people who have less education, strength or skill than you. Look right into it, and you will see that the person who is harmed, the person who does the harm, and the harm itself are all totally devoid of any inherent reality. Who, then, is going to get angry at mere delusions? Faced with these empty appearances, is there anything to be lost or gained? Is there anything to be liked or disliked? It is all like an empty sky. Recognize that! Once you control the anger within, you will discover that there is not a single adversary left outside. But as long as you pay heed to your hatred and attempt to overcome your external opponents, even if you succeed, more will inevitably rise up in their place. Even if you managed to overpower everyone in the whole world, your anger would only grow stronger; to follow it will never make it subside. The only really intolerable enemy is hatred itself. To defeat the enemy of hatred it is necessary to meditate one-pointedly on patience and love until they truly take root in your being. Then there can be no outer adversaries. Ask yourself how many of the billions of inhabitants of this planet have any idea of how rare it is to have been born as a human being. How many of those who understand the rarity of human birth ever think of using that chance to practise the Dharma? How many of those who think of starting to practise actually do so? How many of those who start continue to practise? How many of those who continue attain ultimate realization? Indeed, those who attain ultimate realization, compared to those who do not, are as few as the stars you can see at daybreak compared to the myriad stars you can see in the clear night sky. As long as you, like most people, fail to recognize the true value of human existence you will just fritter your life away in futile activity and distraction. When life comes all too soon to its inevitable end, you will not have achieved anything worthwhile at all. But once you really see the unique opportunity that human life can bring, you will definitely direct all your energy into reaping its true worth by putting the Dharma into practice. If you make use of your human birth in the right way, you can achieve enlightenment in this very lifetime. All the great Siddhas of the past were born as ordinary people. But by entering the Dharma, following a realized teacher and devoting their whole lives to practicing the instructions they received, they were able to manifest the enlightened activities of great Bodhisattvas. 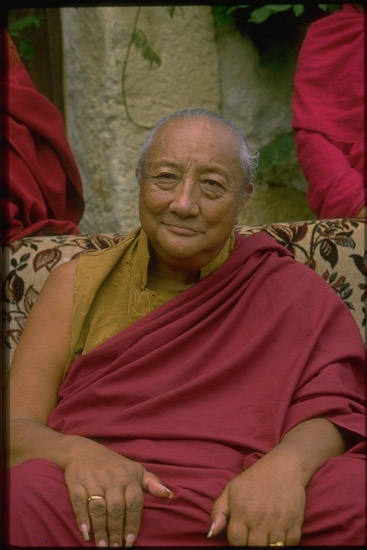 An biography of one of the most outstanding Tibetan Buddhist masters of the twentieth century. The second half comprises an English translation of the spiritual biography, or namtar, by Dilgo Khyentse, one of Chökyi Lodrö’s closest and most brilliant students. 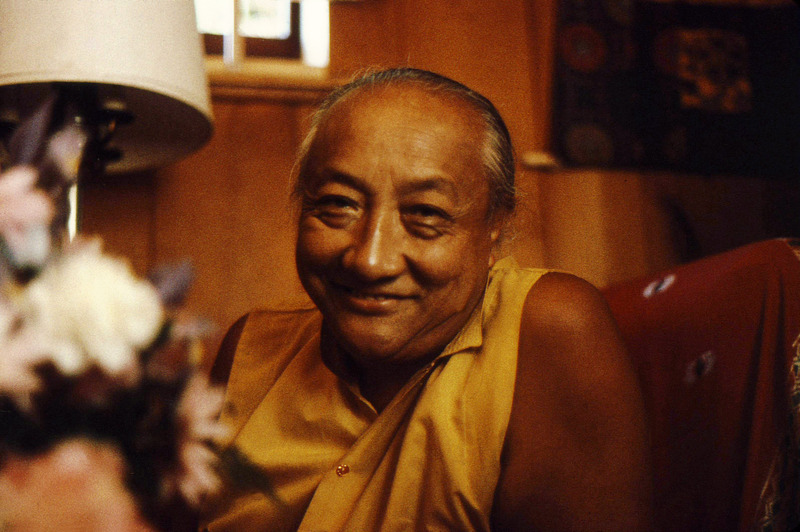 In the process of recounting the life and liberation of his belovèd guru, Dilgo Khyentse reveals how he saw Chökyi Lodrö as the Buddha in the flesh and provides, essentially, a blueprint of the entire path to enlightenment.